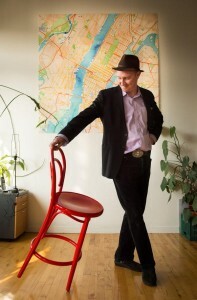 This Thursday night (Jan 30), we will be hosting Eric Rodenbeck — Founder, CEO and Creative Director of Stamen Design. Stamen Design has been innovating (and yes, I use the word for its real meaning) interactive and print map design since 2001 with collaborators that range from the Exploratorium to the SFMOMA to MoveOn.org to BMW. And Here are more of their projects. Eric is an expert in creative data-visualization and mapping and has been doing it long-before it’s recent popularity. We are excited to have him in the tub. We will be taking audience questions via Twitter @hottubpodcast (just mention us and we’ll capture your questions). Eric’s full bio and information is here.